Hulu’s new horror series, “Castle Rock,” was just renewed for a second season. It’s the closest Hulu has gotten to its own “Stranger Things,” as it is heavily inspired by the work of Stephen King and relies on a sense of nostalgia akin to the Netflix hit. “Castle Rock” isn’t as flashy as “Stranger Things,” but with the works of King at its disposal, it doesn’t have to be. The show has an impressive cast that includes Andre Holland, Scott Glenn, Sissy Spacek, and Terry O’Quinn. Hulu must feel confident with its new Stephen King-inspired original series, “Castle Rock,” as it just renewed the show for a second season. But don’t miss the first season, the first five episodes of which are currently streaming. With the new seasons of “The Handmaid’s Tale” and “Westworld” wrapped, and a long wait until “Stranger Things” and “Game of Thrones” return, audiences may be craving a new otherworldly TV obsession. That’s where “Castle Rock” comes in, which may be able to fill that gap if it capitalises on its promising start. “Castle Rock,” a new anthology series from executive producer J.J. Abrams, based on the stories of horror master Stephen King, is as close to Netflix’s “Stranger Things” as Hulu has gotten. “Castle Rock” doesn’t need to be as flashy – or even politically relevant like Hulu’s first big hit, “The Handmaid’s Tale” – to be a success. The show has an entire universe of horror at its disposal that already has a large, loyal fanbase, and the show’s story relies on classic King works such as “The Shawshank Redemption,” “Carrie,” “The Shining,” and more. Last year’s box-office smash “It” proved that people will still flock to King’s stories in other media besides books, and the subtle horror elements of “Castle Rock” should easily find an audience. But Deaver has a mysterious past, as his adoptive father died under suspicious circumstances when he was a child – and the town believes Deaver had something to do with it. Other notable characters include Molly Strand (Melanie Lynskey), a real-estate agent and childhood neighbour of Deaver who hears voices, and has a somewhat creepy mental connection to Deaver that she can’t control; Alan Pangborn (Scott Glenn), the retired former sheriff in Castle Rock who knows more about what’s going on at Shawshank than he lets on; Ruth Deaver (Sissy Spacek), Deaver’s adoptive mother whose memory is failing her; Jackie (Jane Levy), a sarcastic and curious member of the local church who may or may not be a descendant of “The Shining’s” Jack Torrance; and Dale Lacy (Terry O’Quinn), the God-fearing Shawshank warden. “Castle Rock” packs quite an impressive cast. Glenn and O’Quinn’s characters may be familiar to fans of “The Leftovers” and “Lost,” respectively, as they each play characters reminiscent of the ones they portrayed in those shows. Both those shows introduced a lot of questions that went unanswered, and that’s something “Castle Rock” has the potential to do as well. Hopefully not. But being an anthology series, there’s an urgency to wrap up this storyline by the end of the season rather than leaving important plot threads dangling for years to come. 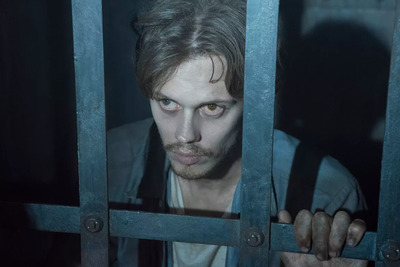 My biggest fear with “Castle Rock” is that its mysterious plot will overshadow its characters, who all are all suffering from their own inner demons. 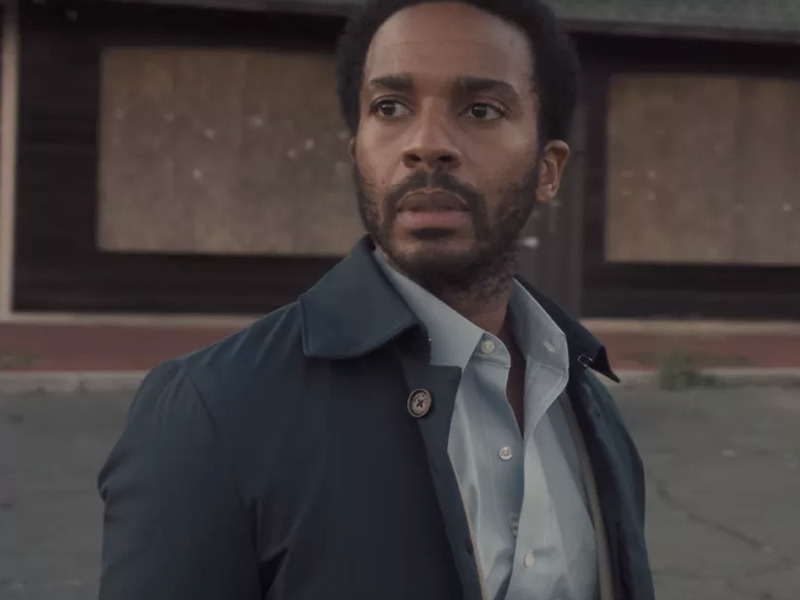 But even if “Castle Rock” sets up a lot of questions in its first few episodes, it’s not mind-numbingly confusing as, say, “Westworld.” I can sum up the first five episodes of “Castle Rock” for you easily, and I was also genuinely surprised by some of the twists already taken. “Castle Rock” has a ton of potential, and King fans as well as non-fans should enjoy what the show offers. It lays a solid groundwork in the first few episodes, and I’m looking forward to seeing what else it has in store for viewers. Simply put: It could be Hulu’s next big hit. The first five episodes of “Castle Rock” are now available to stream on Hulu, and new episodes of the 10-episode first season drop Wednesdays.